How long does it normally take you to take a bath? 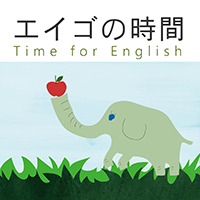 As we announced earlier, we’re accepting questions about English at our website. And one listener kindly submitted a question about taking a bath. It’s an interesting topic. So, visit our website to see the question and our response to it. For now, let’s learn some useful bath-taking expressions. First of all, whether you like to take a long bath or quick one, whether you like it hot or lukewarm1, a basic phrase to learn is to take a bath. Now, after many hours of train ride, you desperately2 want to take a nice hot bath. How would you express it? I would say: A nice hot bath is just what the doctor ordered. “Just what the doctor ordered” means exactly what is needed or wanted. Would you like to learn the expression? Repeat after me: A nice hot bath is just what the doctor ordered. Well, what would happen then, if you take a very long bath? You may feel dizzy3. Let’s learn how to describe the situation: I stayed in a bath too long and I feel dizzy. Now, when you come home from work, you look exhausted4. Your wife may ask, “do you want me to run a bath for you?” What does that mean? It’s not a bath tub on wheels. It’s not that she is running in a bathroom. To run a bath means to put water in the bath tub. So, do you want to learn the expression for your husband or your wife? Repeat after me: I’ll run a bath for you. So, if you want to contribute5 a question, join us at our website. さて、何時間も列車に揺られた後、あなたは「熱い湯に浸かりたい」と切実に思います。こんな時、何て言えばいいのでしょう。私ならこんな風に表現します。「A nice hot bath is just what the doctor ordered. (熱いお風呂に勝るものはない)」 頭に入れておきますか? では繰り返して下さい。A nice hot bath is just what the doctor ordered.